While you might initially think bringing the kids into the kitchen is a recipe for disaster, getting your kids excited about cooking is actually well worth the effort (and the mess!). Cooking is a crucial life skill, and teaching your kids the basics early on is a great way to ingrain this knowledge and possibly introduce them to a new hobby. Even better, by introducing them to nutritious and tasty recipes, you can help promote a preference for home cooked meals over unhealthy take-out. Tilapia is an excellent option for kids who are unfamiliar with cooking and eating seafood. It has a firm texture and a mild flavor, and packs a protein punch to ensure they aren’t hungry again in a few hours. So, throw on an apron and get your kids in the kitchen with the help of these incredibly easy Tilapia recipes. Getting kids excited about cooking fish is easy when you throw pasta and cheese into the mix! This casserole incorporates both parmesan and mozzarella cheeses, making it a really tasty treat for kids, while the Tilapia and red peppers ensure it also hits the mark nutrition wise. Best of all, the 25 minutes the casserole will need in the oven is the perfect time to teach your kids about another important aspect of cooking: washing up! Try the recipe: Tilapia and Roasted Pepper Cheese Pasta Casserole from Haniela’s. This simple dish is a guaranteed kid pleaser. The messy preparation involved in breading the Tilapia fillets is sure to delight kids, while the end result of crunchy, cheesy fish will get a thumbs up for taste too. Kids can also lend a hand putting together some side dishes, whether that means veggies or a creative salad. 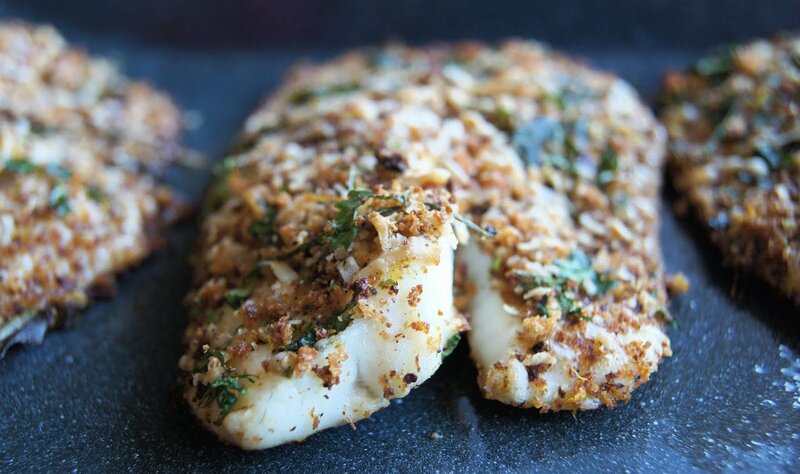 Try the recipe: Parmesan-Crusted Tilapia from PopSugar. What kid doesn’t love tacos? This version involves breading your Tilapia fillets with panko bread crumbs, then whipping up a simple yet tasty lime dressing made with sour cream, hot sauce and cumin. Kids can either assemble all the ingredients themselves, or lay them out buffet style so that family members can pick and choose what they want in their own taco. Try the recipe: Tilapia Fish Tacos from 5 Dollar Dinners. Fresh and flavorsome, these Tilapia taco bowls are sure to appeal to kids of all ages. The recipe is packed with tasty ingredients like avocado, black beans, corn kernels and bell pepper, but feel free to add anything else you like too. Cheese, Greek yogurt, chopped tomatoes—anything goes in this dish! Plus, thanks to the protein rich Tilapia and delicious cilantro lime rice, these bowls will keep kids feeling fuller for longer, making them an energy packed lunch time meal. Try the recipe: Blackened Tilapia Taco Bowls from The Chunky Chef. You can’t go wrong with fish sticks! These crispy morsels are a great way to get kids hands-on in the kitchen, as they’ll get to bread the Tilapia strips themselves. The process can be a little messy, but that’s part of the fun of it! And by seeing for themselves how easy it is to make delicious fish fingers from scratch might help them steer clear of the less healthy boxed varieties later in life. 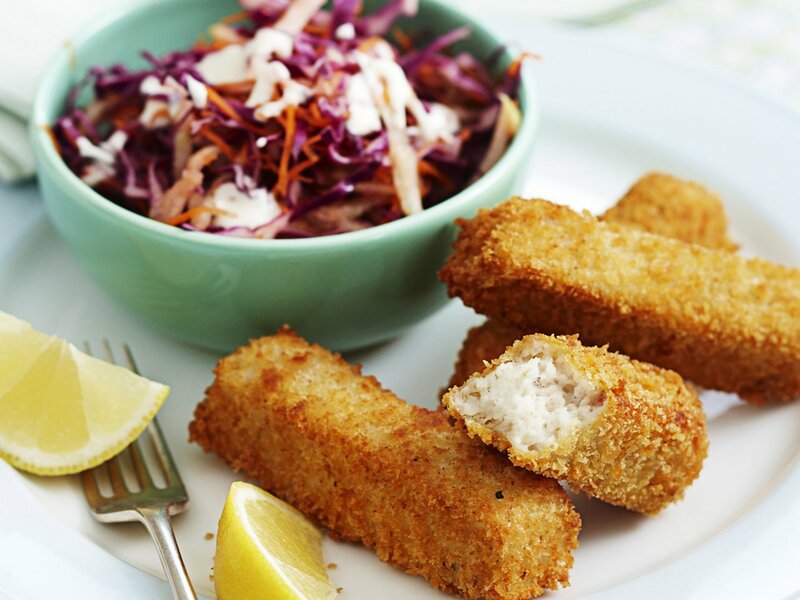 Try the recipe: Crispy Fish Sticks With Coleslaw from Real Simple. What kid doesn’t love Sloppy Joes? This twist on the classic sandwich swaps fresh Tilapia for the regular ground meat, while still including all the important ingredients like Worcestershire sauce and tomato sauce. This way, kids will enjoy eating them as much as they will making them! Ready in under 30 minutes, these are a deliciously messy dish that’s perfect for a Sunday afternoon treat. Try the recipe: Tilapia Joes from Regal Springs. Get your children involved in the kitchen by having them act as mini sous chefs. It’s not only a fun way to spend time with your kids, it’s also a satisfying way to start teaching them a valuable life skill! Check out our article Is Fish Healthy for Kids to Eat? to learn more about the health benefits kids can reap from eating seafood.